Bay Innovations, a healthcare startup focused on hardware for anesthesiologists, partnered with GlobalLogic and its experience design firm, Method, to design and develop a head-mounted display (HMD) system called Vivi that would help anesthesiologists monitor patient vital signs in the operating room. Anesthesiology clinicians are responsible for keeping patients stable and safe during surgery, and the faster they respond to potential complications, the less impact there will be on the patient’s health. Bay Innovations’ goal was to develop an HMD system that would help mitigate problems associated with poor lines-of-sight or obstructed views of the patient monitor—thereby allowing for more attention to be directed towards the patient and the surgical field. To be useful during surgery, an HMD system must display contextually dependent, highly nuanced patient data gathered from third-party equipment. Clinicians must be also be able to access this information hands-free and on-demand. During long periods of high workloads, the HMD hardware must be physically unobtrusive and operate for many hours in between charges. Cognitive ergonomics and physiological human factors are also crucial, as the headset poses various practical challenges specific to applying optical display hardware in a surgical environment. Furthermore, the route to market for medical electronics — especially devices that use radio — is long and costly. GlobalLogic and Method had to provide business, design, and engineering strategies that minimized the risks associated with developing and marketing Vivi. From a business perspective, GlobalLogic and Method needed to deliver (1) sufficient IP value in order to secure necessary funding and (2) a functional prototype system with which to begin clinical testing. In collaboration with GlobalLogic and consultant anesthesiologists from Bay Innovations, Method delivered an integrated experience design approach that was both user-centric and technology and business focused. Through a process of prototyping, experimentation, user interviews, and human factors research, the team quickly iterated towards software and hardware solutions that challenge the standard of glasses and answered some of the challenges presented by the project to create a novel design. The team employed a variety of tools and techniques throughout the delivery process. GUI designs were sketched and implemented using custom software, and physical prototypes were created using everything from Lego blocks to state-of-the-art CAD software and laser sintered polymer fabrication. 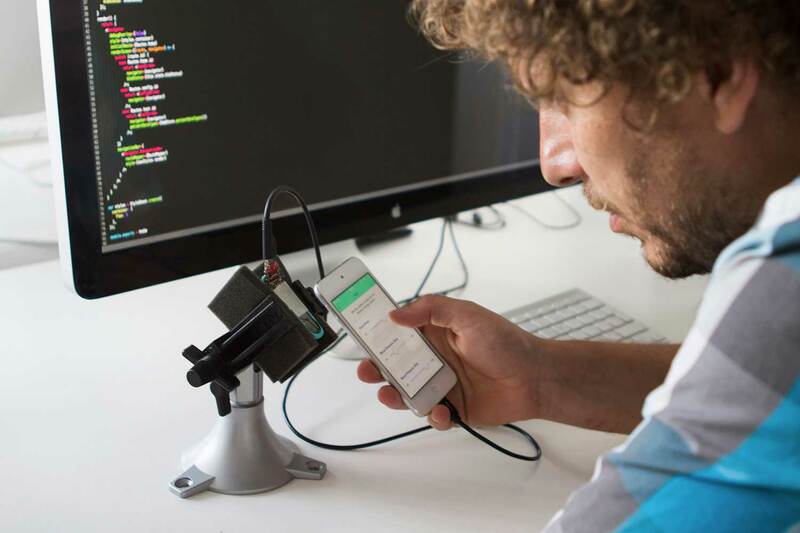 The joint GlobalLogic-Method team engineered optics, electronics and firmware; developed a companion smartphone application; created a unique device GUI; and provided industrial design and model-making capabilities. 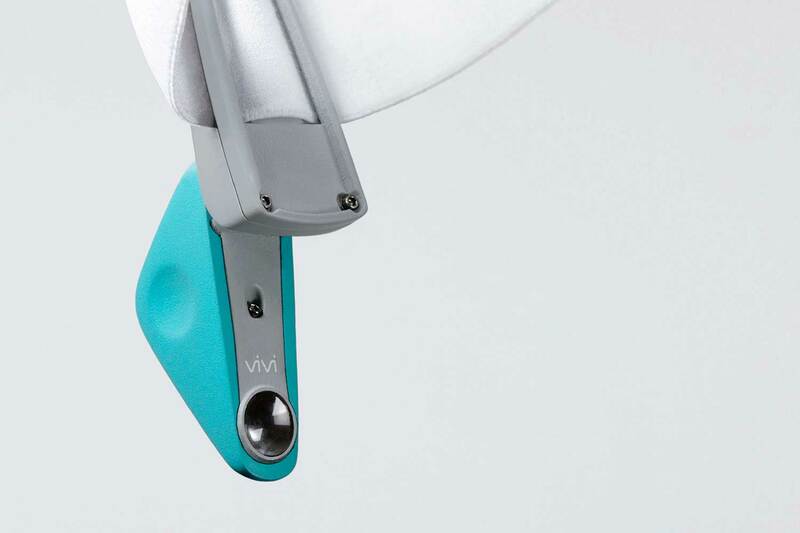 The Vivi HMD system uses a gateway device that interfaces with patient monitoring equipment in the operating room. From the gateway, data is transmitted via secure bluetooth to a small, highly adjustable, wireless optical headset. 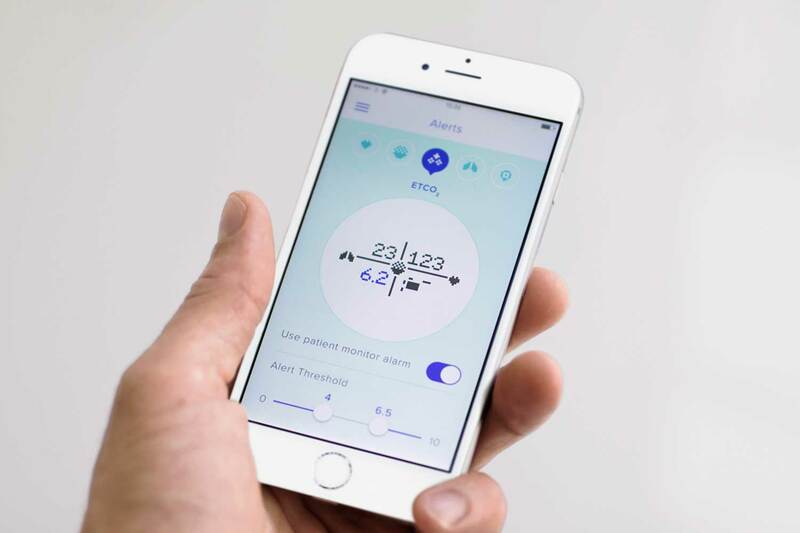 The headset behavior and specially-designed GUI can be quickly configured using a companion smartphone app to meet the specific requirements of the clinician for particular patients. GlobalLogic and Method developed a name, brand identity, and route-to-market strategy to craft a turn-key invention and marketing solution that surpassed Bay Innovations’ expectations. And while Bay Innovations initially developed Vivi as a clinical tool, the headset has the potential to be effectively leveraged across other healthcare environments and even other sectors, such as fitness and security.